Established in 1994, FotoWare is a long-standing player in the Digital Asset Management business, with a wide customer base in the media and publishing industry, the corporate market, in public services and among professional photographers. With several millions of licenses sold, FotoStation is the worlds’ bestselling DAM workstation. FotoStation has been designed for people who work professionally with digital assets. It puts you in command whether you work alone or in a large organization, and whether you have just started building an archive or need a fast, powerful solution to organize your existing one. 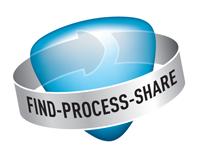 FotoStation lets you group and organize your digital assets – your way. It has powerful metadata capabilities built on the XMP standard, making it easy to caption, sort and retrieve your files.